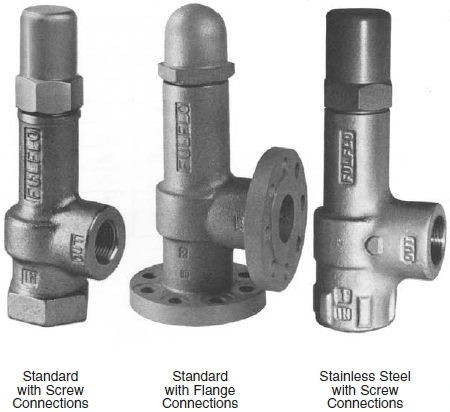 Hydraulic Cartridge Valves – Fulflo Specialties, Inc. Hydraulic cartridge valves usually screw into the cavity of the hydraulic system. Cartridge valves are available for almost every kind of hydraulic valve, including check valves, control valves, relief valves and solenoid valves, to name a few. Hydraulic check valves are automatic mechanical devices that allow hydraulic fluid to flow in one direction and prevent flow reversal, and they are often used in conjunction with motors, pumps and cylinders, as a part of breaking systems and construction tools. Hydraulic control valves, in comparison, are used to containing and transferring the flow and pressure of hydraulic fluid in hydraulic systems. Hydraulic relief valves are instead used to limiting the pressure and protecting hydraulic systems from exposure to pressures exceeding the specified limits, and are vital to any system involving an engine, transmission and break system, such as cars, airplanes, trains and boats. Comparatively, hydraulic solenoid valves are electrically operated devices that control the flow of liquids, working by way of a remote control. Like most of hydraulic valves, cartridge valves are usually made from a durable but corrosion resistant metal such as aluminum, stainless steel, copper or iron. Surface treatments that can be applied to improve the already positive cartridge valve characteristics include nickel plating, chrome plating, polishing and powder coating. The positive characteristics include durability, hardness and precision. Careful machining also ensures that these valves are leak free, which makes them vital to the company buying them, since leaking means more money has to be spent on repairs. They are used in CNC machining systems, roughness and hardness testers, projecting apparatuses and the body work of various vehicles. Often sold in sets with numerous sizes that fit regular industrial pipes, hydraulic cartridge valves may also be custom made. Another common hydraulic characteristic that the cartridge valves share is the variety of sizes they might come in, from a fraction of a millimeter to three or four meters long. With such a wide range of applications, the size must be flexible. Hydraulic Cartridge Valves Hydraulic cartridge valves come in a variety of standard sizes that are designed to fit a wide range of regular valve cavities. Hydraulic cartridge valves can be easily removed and replaced without taking a machine apart. Because of their design, cartridge valves result in lower maintenance fees.